Ali Akbar Velayati, an international adviser to Leader of the Islamic Revolution, says the role of Ayatollah Seyyed Ali Khamenei has been very effective in strengthening Islamic movements. Speaking at a Conference in Tehran on Sunday to discuss the impacts of the two letters that Ayatollah Khamenei sent to the youth in Western countries in 2015, Velayati pointed out that the Leader launched an initiative to create unity among Muslim Ummah. “Today this has developed and will lead to annihilation of the Zionist regime,” he added, according to a Farsi report by Fars News Agency. This senior Iranian official referred to the letter of Iran’s Leader to the youths in West saying that it was a very important matter as it is part of the efforts made by the Leader to promote Islam. Velayati further mentioned that Westerners are trying to sow the seeds of discord and want to present a negative image of Islam. He also emphasized that the United States and the Zionists aim to maintain their presence in the region, saying that Americans must know they will suffer a defeat in Raqqa as well, and will be expelled from this city. “As long as Islam exists, the struggle would continue, and for this, we must do our utmost theoretically and practically,” underlined Velayati. 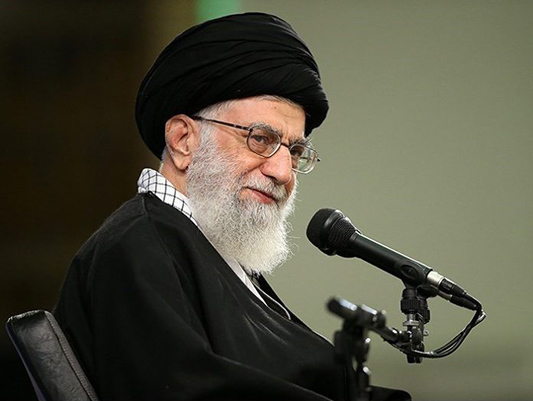 Ayatollah Khamenei first wrote a letter to youths of Europe and North America on January 21, 2015, to elaborate on the reasons behind the West’s effort to spread Islamophobia. Later on November 29, 2015, the Leader sent the second letter following a series of terrorist attacks in France, elaborating on the real factors behind terrorism and urged Western Youth to facilitate correct interaction with Muslims asking them to “lay the foundation for an appropriate and honorable interaction with the Muslim world based on correct knowledge and with deep insight and by taking advantage of tragic experiences (of the past)”.